The Plumbing Professionals at Fox Plumbing & Heating want to make sure that you’re ready for any plumbing, water, heating or cooling conditions that you might have to face. This week we’re talking about what you need to know about your water line and what can happen if you ignore a water line problem. Damaged water lines are more of a common occurrence than you might think in Seattle, Kent, Bellevue and King County. Last year Fox Plumbing & Heating completed 1,000's of these types of repairs/replacements annually. Water lines are something to check in both new and old homes. If you live in an older home and you’re experiencing problems with your water lines, you want to speak with a plumbing professional immediately about repair or replacement options, before it costs you a lot of money. If you haven’t had significant damage to your lines, you can have them repaired at a fairly low cost. However, if you ignore the problem the damage can become extensive very quickly and will cost you in the long run. Bobby, one of our plumbing professionals, says, “I learned the hard way that if you try to save money then you’ll end up spending twice as much later.” Here are our thoughts on what to be aware of when looking at water line issues. Water damage causes millions of dollars in damage every year to homes around the country. Some of this damage is caused by heavy rains, melting snow, storms, and water line issues. Hiring a knowledgeable plumbing professional can not only save you on home costs, but can also help to keep your family healthy, something that none of us can put a price on. 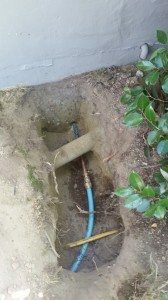 What can happen if a damaged water line goes unattended? A leak or damaged water line no matter how small will mean significantly more damage to the pipe in other locations. If you become aware of any leaks in your water lines, no matter how small they are, you should have them examined by a plumbing professional to keep small problems from becoming large ones. If the water line is damaged anywhere within your home, structural damage from leaks or bursts could occur. If your waterline bursts inside a wall then you have to remove the wall to repair the water line. You’ll need to repair the damage to the home after repairing the line. If the water line bursts it can cause a release of pressure that could harm anyone near the line. In the Pacific Northwest, Black Mold is a real concern for our friends, neighbors and family. If there is a leak then you might find that water is continuously running, it may result in a very high water bill. 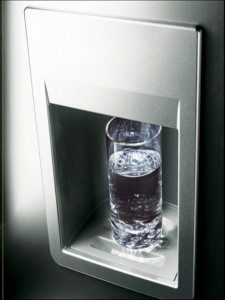 If you believe that your water line is leaking or running constantly then you need to shut-off your water immediately. If your water is not shut-off then it can build up pressure, and you run the risk of a blown line. What causes damages to waterlines? Always call for underground locates before you dig any holes for fence posts, flag poles, etc. This is a common cause for broken water lines. What should you do if you have a damaged water line? The first thing you should do if you believe that you have a damaged water line is shut-off your water and contact your neighborhood plumbing professional. 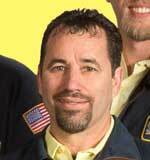 Many professional plumbers have instruments that are able to locate leaks and problems in your water line. And many top plumbing companies, like Fox Plumbing & Heating, have trenchless technology that help you save on landscaping costs. Remember, if you’re having issues with your water lines the friendly professionals at Fox Plumbing & Heating are here to help you. Our knowledgeable professionals can replace water lines in less than a day. Very solid advice! It's so important to know right away when there's damage so that you can not only get someone to fix it, but immediately act so there isn't further damage done. Thanks for sharing!